This is the ideal system for treating bulbs in the room and get them into the perfect condition for peeling. The B-Misty® also makes it possible to regulate the perfect moisture balance when you require control of the air humidity. 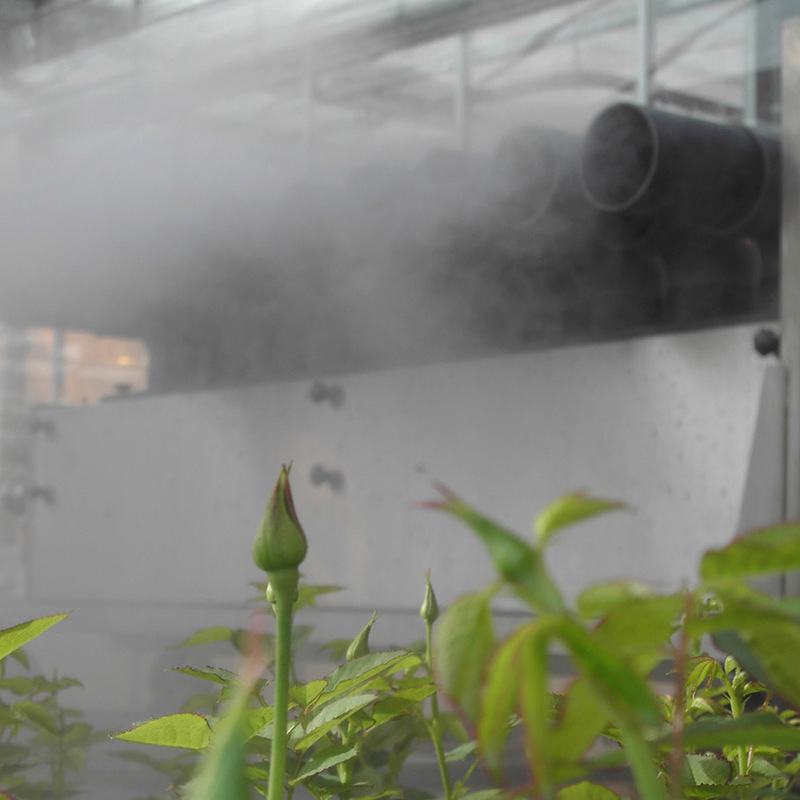 One unit generates 20 litres of cold steam (‘dry’ mist) per hour in an energy-efficient way. 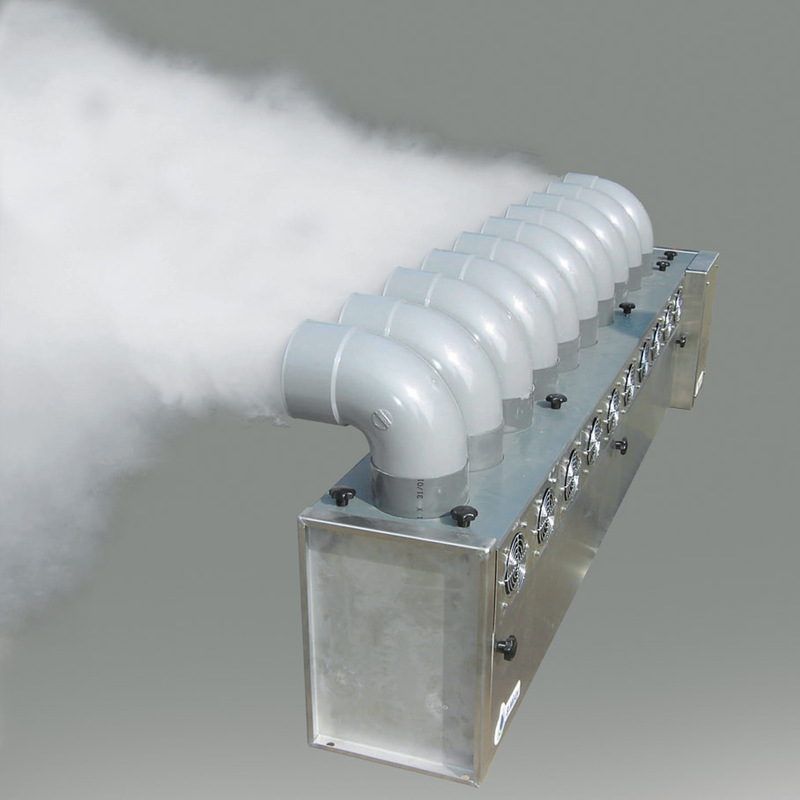 The B-Misty® produces a mist with a drop size smaller than 1 micron. This so-called 'dry' mist has the unique property that drops no longer cluster together, but are absorbed into the surrounding air right away. This effect is achieved because the drops are negatively charged. 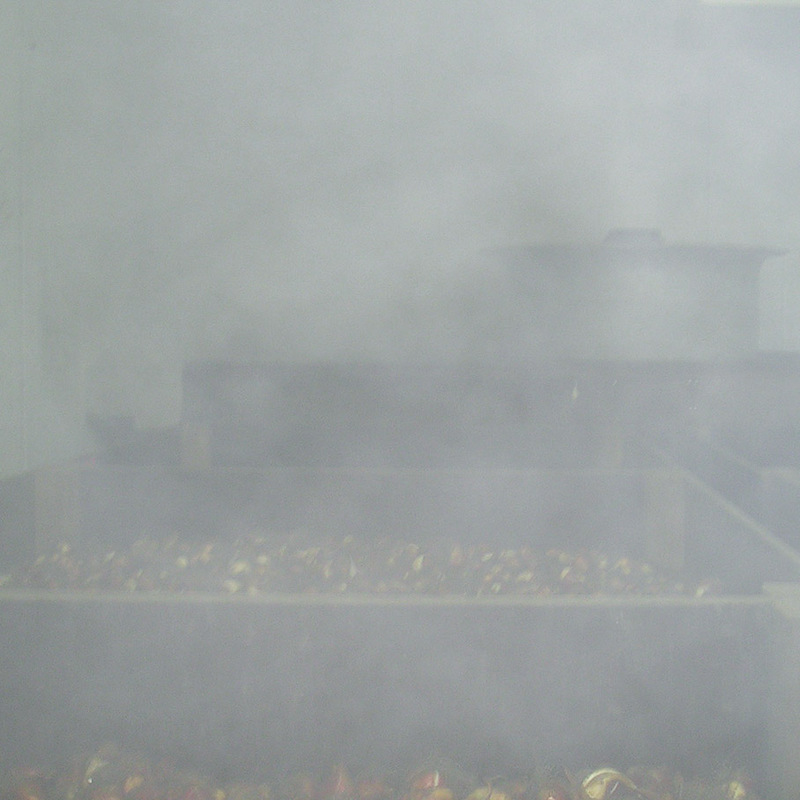 The bulbs/crops remain much dryer, because the mist is much finer than when using high-pressure misting systems. That means that there is very little chance for moulds and bacteria to develop. The mist itself is free of moulds and bacteria. The B-Misty® is a very reliable system that operates without a compressor and without high pressure, with reduces the chances of clogs due to salt deposits or contamination to an absolute minimum. Therefore, you will not need to use costly filtration systems for the B-Misty®, a water softener system is just fine. Furthermore, the B-Misty® is extremely efficient when it comes to water and energy use and the system is very easy to install. Are you looking for more information about using B-Misty with bulbs or the ideal moisture balance for your crops? Please contact us.